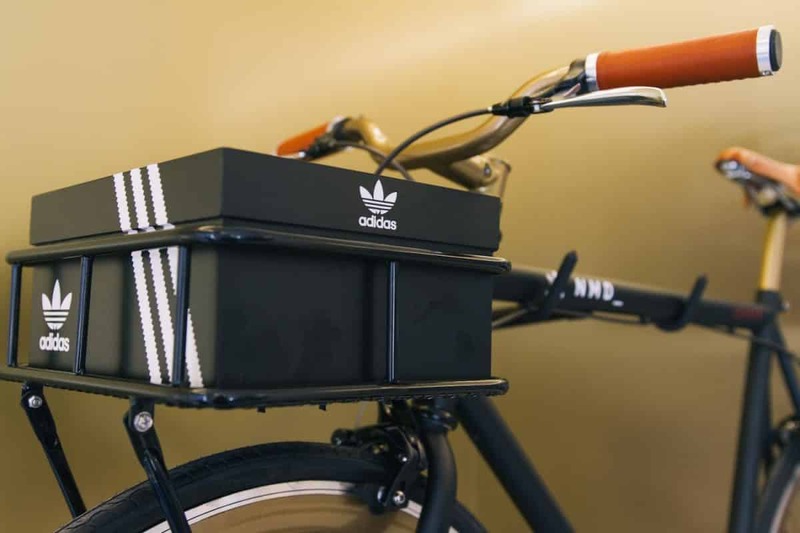 LEKKER Bikes Amsterdam has joined forces with Adidas for the much anticipated launch of the iconic new NMD sneaker collection in the Netherlands this month, creating a limited edition Black & Gold Adidas single speed LEKKER fixie style bicycle for the top 10 Adidas stores in Amsterdam. Like Adidas, LEKKER was born from the street to provide freedom from formality and complement an urban nomadic lifestyle with simple and elegant commuter bicycles. Fans and riders of LEKKER’s Amsterdam Fixie bikes quickly discover other similarities with the iconic shoe brand’s new NMD range, such as elevating style elements through uncompromized technical drive, with clean line, lightweight Aluminum frames and quality finishes. Join us or stay tuned to check out pics at the Adidas launch party in Amsterdam and see the custom built branded Lekker Fixie!